Everything anyone ever wanted to know about Osama bin Laden — and may have been afraid to ask for fear of being nabbed by the CIA or the FBI or the MI6, or even the ISI — can now be found in Peter Bergen’s just published book The Osama bin Laden I Know. Anyone who watches CNN — and who doesn’t, including Osama bin Laden — knows Peter Bergen because he is the news network’s terrorism expert. He is also an academic, being adjunct professor at the School of Advanced International Studies at the Johns Hopkins University in Washington. Bergen is one of the few Western journalists — and the only British one — who have actually met Osama. 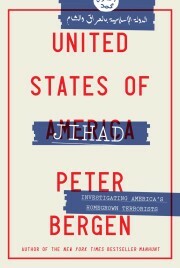 Peter Arnett, one of the most distinguished journalists of his generation, is the other prominent Westerner to have met the Al Qaeda founder and perhaps the most hunted man in history. What Bergen has done is quite remarkable. He has interviewed most people who knew bin Laden, from his boyhood friends, family members to journalists like our own Hamid Mir (who met bin Laden three times, and became the only journalist to have interviewed him after 9/11) and Rahimullah Yusufzai. Those not interviewed by the author are represented in the book through excerpts of what they wrote or had recorded about the Saudi-born fugitive. In short, you do not need to “google” Osama: all you have to do is to buy or steal Bergen’s book, which has several pictures including a famous one that Bergen took when he and Arnett met bin Laden. Bergen is modest. He writes, “Finally, what does bin Laden really want: the overthrow of the Saudi regime, or the restoration of the Caliphate across the Muslim world? I do not pretend that this book will definitively answer all those questions. After all the interior life of a person is something of a mystery.” He writes that while what bin Laden has done is unforgivable, we need to understand him. Bergen has written an oral and a document-based life of the Al Qaeda leader and almost everyone he quotes has met bin Laden. Bergen recalls that when he and Arnett met bin Laden, he came across to them as a soft-spoken cleric, rather than the fire-breathing leader of a global terrorist outfit. He was also well informed with an intense interest in world politics. Having said that, bin Laden, Bergen believes, acts on impulse, often overreaching and paying little attention to the consequences of his actions. It is unlikely that he could have imagined the far-reaching changes the 9/11 attacks would bring. Bergen says 9/11 “turned out to be something of a kamikaze mission”, as the American response decimated Al Qaeda and destroyed its Taliban partners. One of the telling observations Bergen makes is that the global jihadist movement is not a monolith, because it is split by squabbles over personnel and strategy. Many Islamist militants hold that 9/11 damaged their cause. Bergen also questions the general belief that the CIA financed bin Laden during the war against the Soviets in Afghanistan. The CIA funnelled $3 billion to the Mujhideen but “there is no evidence that any of that money went to the Afghan Arabs”, nor can it be established that any CIA men met bin Laden or anyone in his circle. The CIA’s bin Laden unit was set up in 1996. Osama turned against the Saudi royal family because of its decision during the first Gulf War to rely on non-Muslims to defend Arabia. Bergen writes that bin Laden has always had something of a romantic attachment to Afghanistan, sometimes referring to it by its Muslim name of Khurasan. Bergen quotes Hamid Mir, who also interviewed Mullah Omar in December 1996. When Mir asked Mullah Omar if he was working for the Americans since Robin Raphel had expressed admiration for the Taliban in a speech at the UN, Mullah Omar asked, “Who is he?” He did not know who Robin Raphel — then assistant secretary of state for South Asia — was or even the fact that she was a woman, not a man. About the 9/11 attacks, Bergen writes that while bin Laden did not involve himself in details, he was the overall commander. It was he who appointed the Egyptian Mohammad Atta as the lead hijacker. Bin Laden discussed the plot with a Saudi supporter, the tape of which was discovered in Jalalabad by US forces after the fall of the Taliban. When the first plane hit the World Trade Centre, bin Laden told those who were with him listening to the radio to be patient. When the second plane hit, bin Laden recalled, “the brothers who heard the news were overjoyed”. Bergen is to be credited with having forecast a major Al Qaeda attack on the US, which turned out to be 9/11. After viewing a two-hour Al Qaeda videotape circulating on the Internet, he wrote to John Burns of the New York Times saying that he was “alarmed” by what he had seen as it seemed to presage a major Al Qaeda attack. Burns filed a story which was put on the New York Times website but not in the newspaper on September 9, 2001. Bergen writes, “In an Orwellian rewriting of history, the Times took Burns’s pre-9/11 story off its website” after the attacks two days later. The ISI will like Bergen’s book because it gets only one mention in its 444 pages. I also found it refreshing that the author does not join the Osama hunt club, which should earn him another interview in case the Sheikh of Al Qaeda ever feels like chatting to a discreet and knowledgeable reporter.